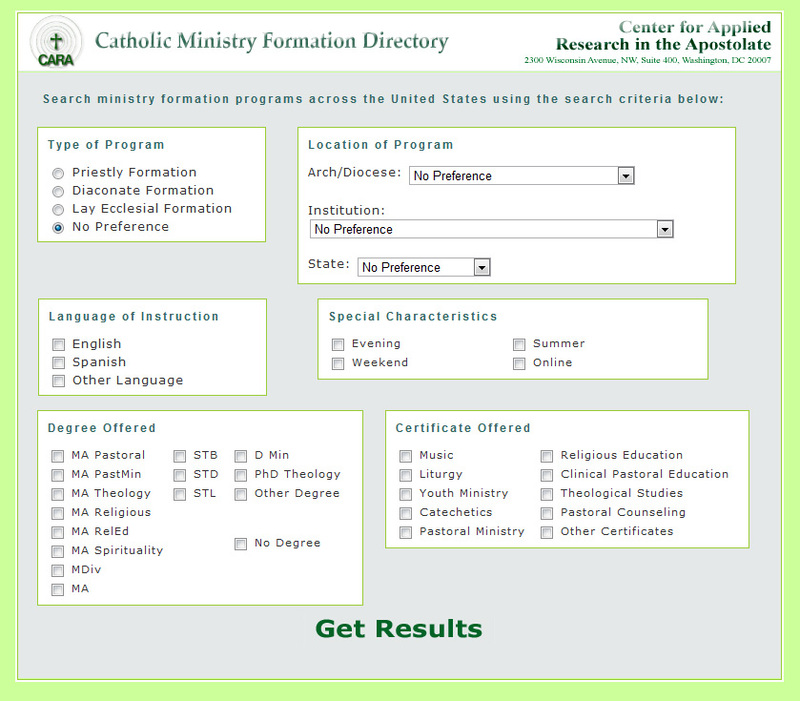 This is a screenshot of the search function available with the new online Catholic Ministry Formation Directory. From here, results can be downloaded in to a data file or printed as customized reports. For more information or to purchase a one year subscription to the online Catholic Ministry Formation Directory, click here. Already have a subscription to the online Directory? Click here to access.